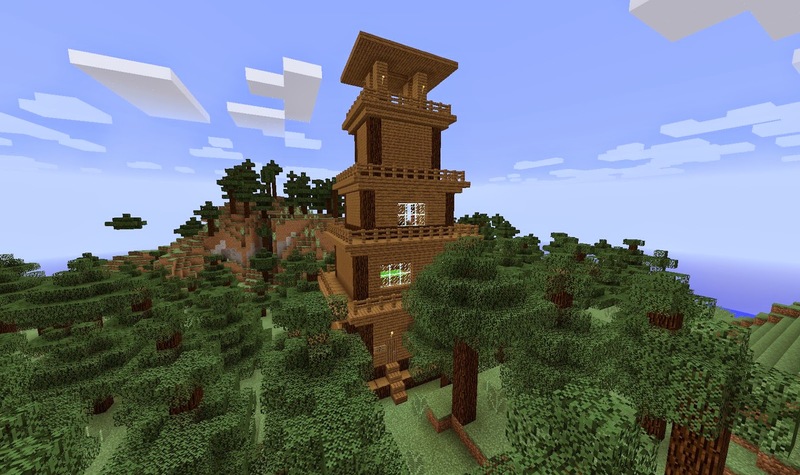 I had the idea for a sort of “tower in the forest” woodland style house. 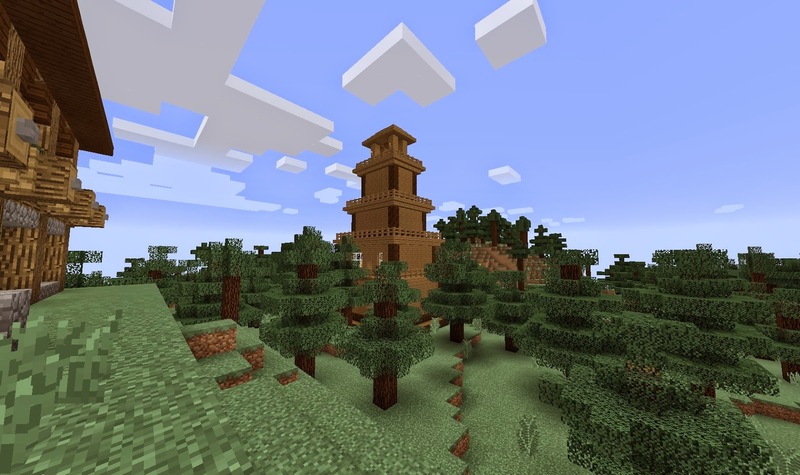 I didn’t have any particular inspiration (I never do really) though I spose you could say it was a sort of “forest outpost” tower gawd I dunno I have the picture in my mind but can’t think of anything. 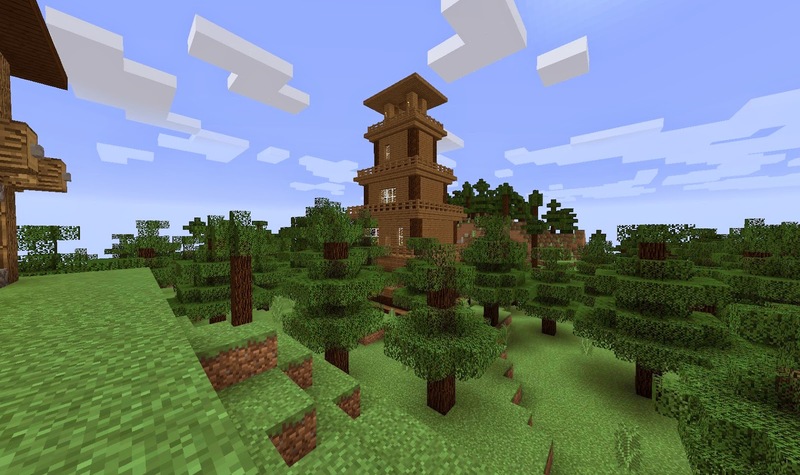 I was thinking of a sort of like a layered tower rising up from the trees, something simple, you know? The city was actually right on the worlds edge and you could see the actual wall when you went closer, it was actually kind of ominous as I had set myself up in the forest halfway between the city and this giant blue forcefield. My Hidey Hole, you can see the ominous blue forcefield. 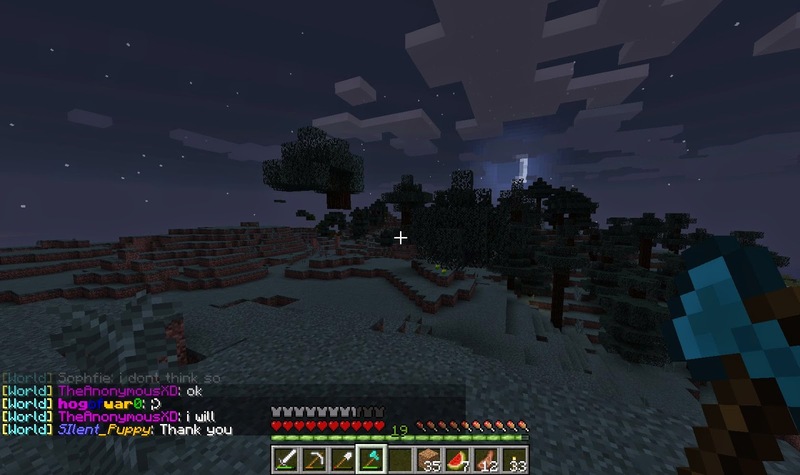 I had to dig a tunnel and make a hole in the ground for a safe place to work and retire as usual, the forcefield was actually removed alter so I wish I had waited till then to build as I would have been able to go further out. Well the premise was pretty simple, I started out with a rectangular base with cut out edges with the intention of making the lowest part the biggest and getting smaller as it goes up sort of like a pyramid, a very small and thin pyramid at that. 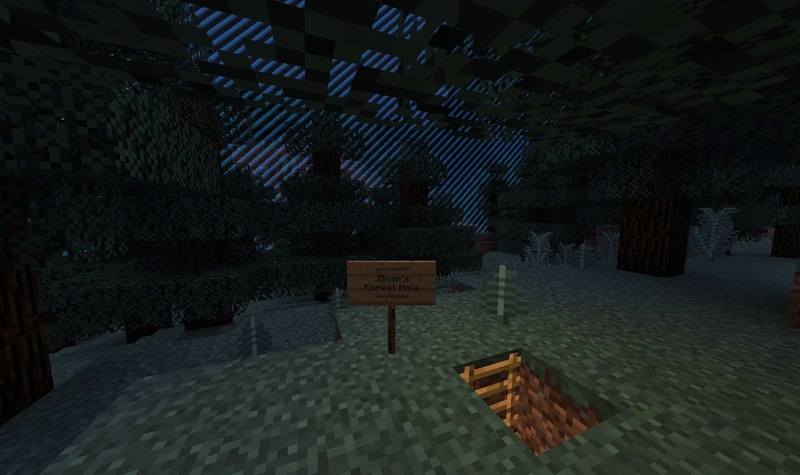 I was originally going to make the entire thing out of spruce logs but that of course would require a heck of a lot of logs, so I just used logs for the trim and made everything else spruce as to keep to the theme of the forest. 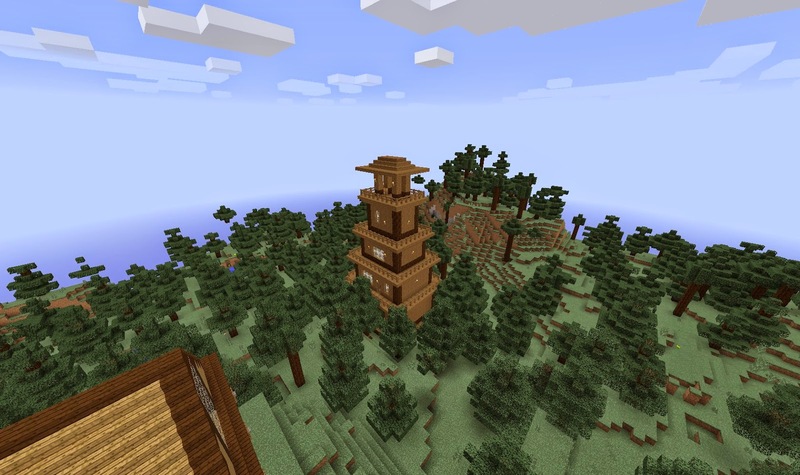 I started building upwards getting smaller as I went, I just put ladders as the way up as there would not have been room for stairs and built up as far as I could until it would have been silly to make the highest floor any smaller. 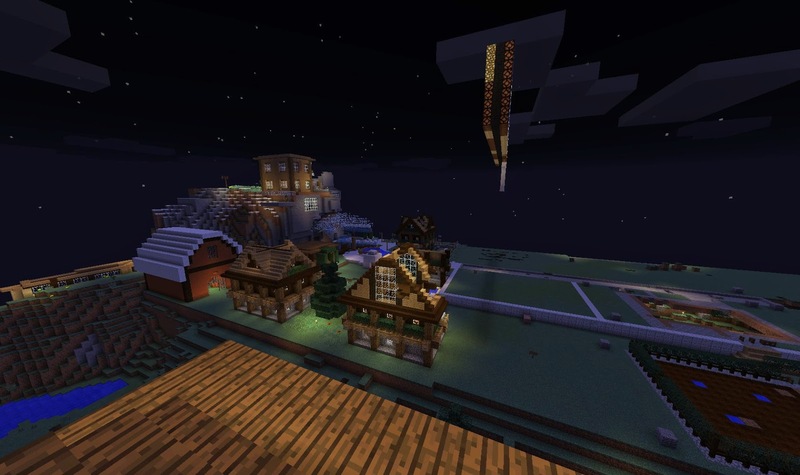 I built a balcony with a roof and fence around on the top which although being further down the hill then the main city had a good view nonetheless. 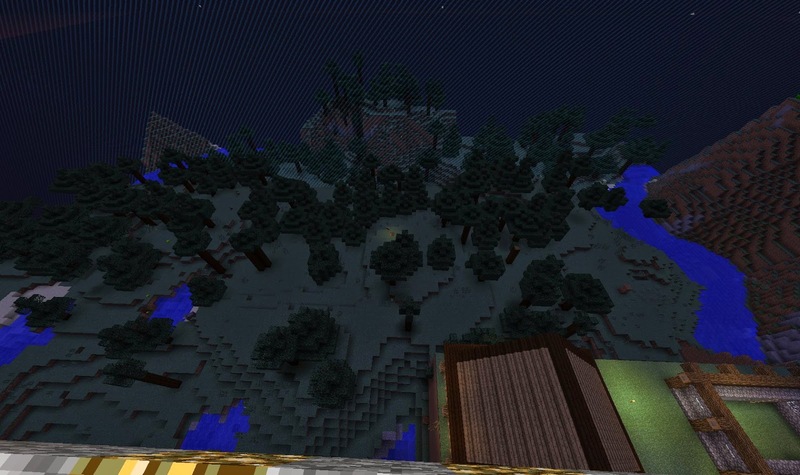 Most of the wood I got from the forest around spawn as I didn’t want to deforest the area around my house and man did the spawn area end up looking pretty sparse lol despite my best attempts to replant them. 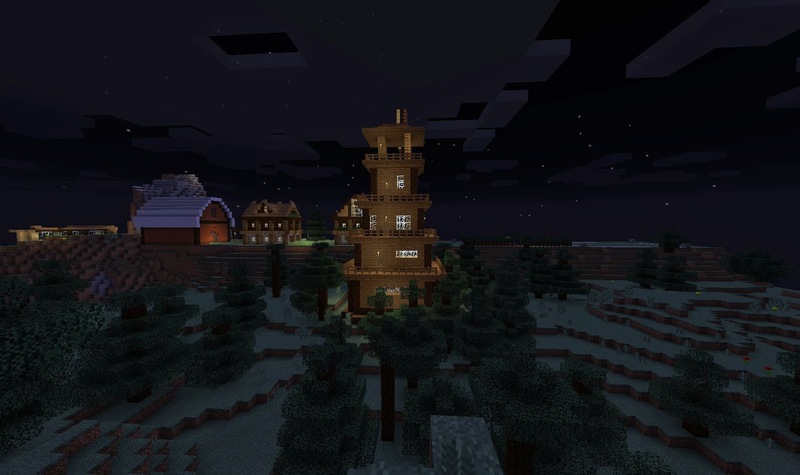 I hack down trees in the night and by day I build. 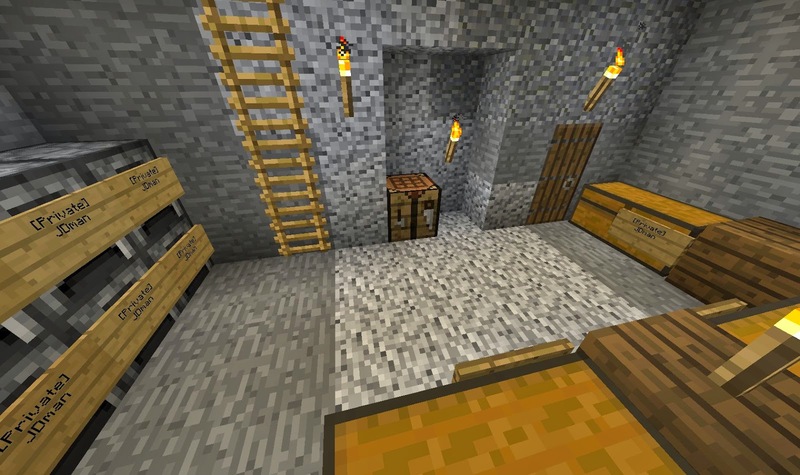 After I had made steps and a door to the house I decided that I just do the interior level-by-level and create holes for the windows as I went along, the bottom level was obviously going to contain all the chests and furnaces and be the main building and resource level, I also made a some armor racks with some leather and iron armor to put on there. 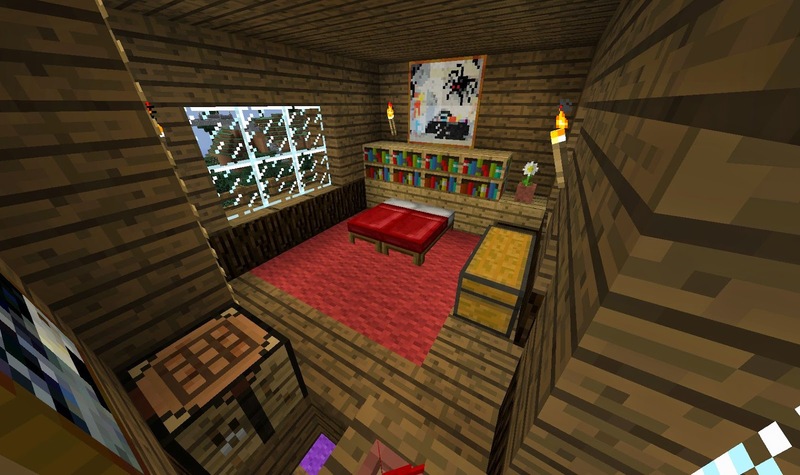 The level above was my bedroom which I made with a chest, bookshelves and the usual music box, I also added in shelves with flower pots where I could and made sure I had a bedside table. 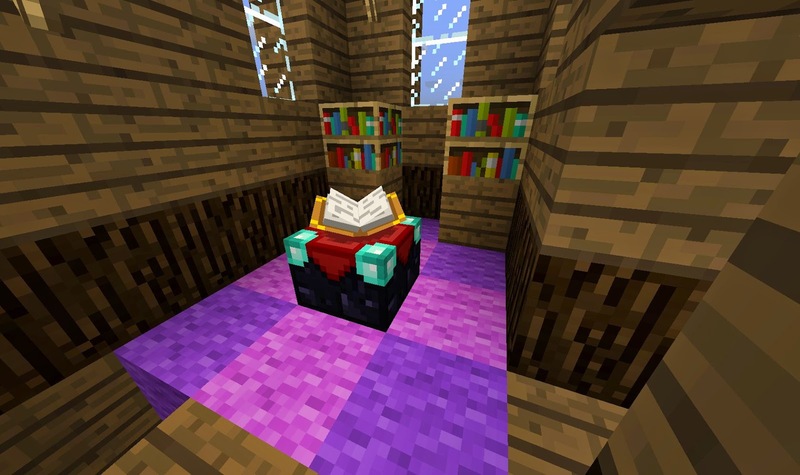 The highest room was pretty damn small and all I had in there was an enchanting table and some bookshelves ironically I only had two as I had used the others for decorative purposes but who cares I could always use the one at spawn if I needed powerful enchants, not that I was going to get that much xp in any case. 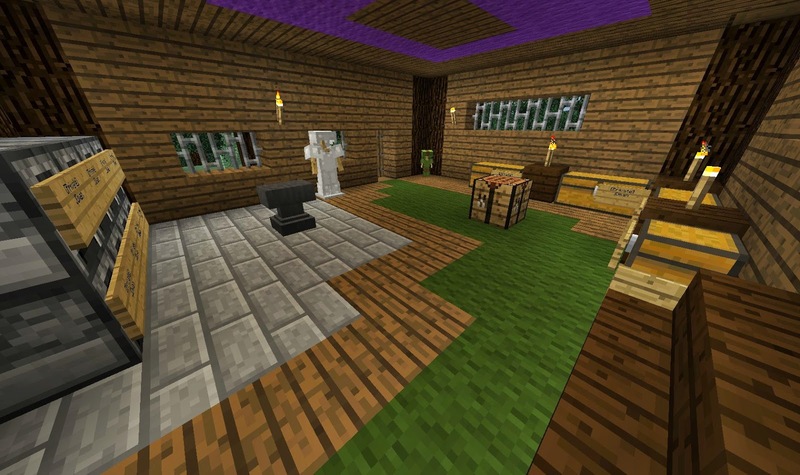 Mini Enchanting room! Needs more bookshelves i know. 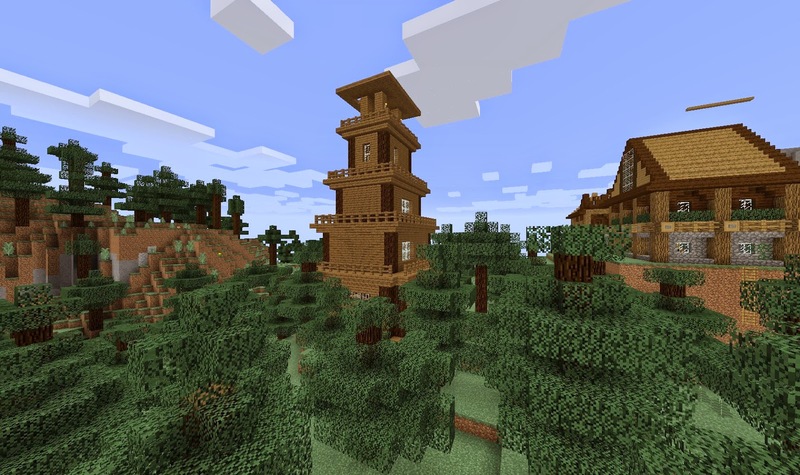 After this I decided to make a trim around the edge of each level like up the top then decided that It’d be better to create a thin balcony around each level which ended up looking pretty good, so I could make doors out of each side too. 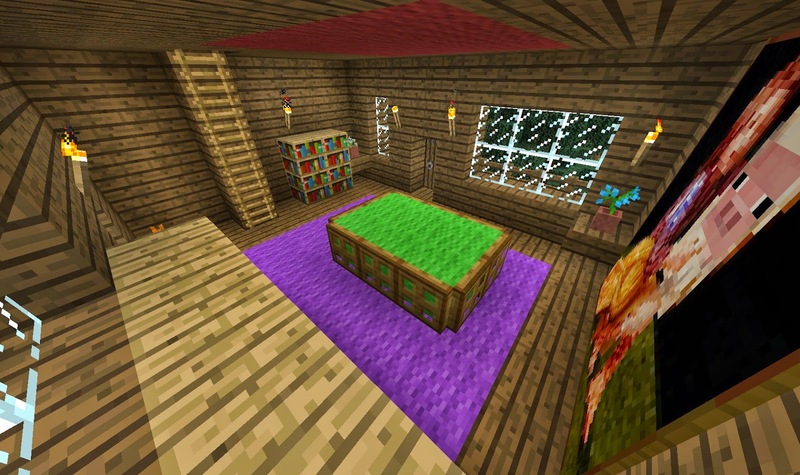 I created iron bars for windows on the bottom level then make glass windows for the upper levels, which reminds me I should try doing coloured glass panes at some point, I also put some carpeting down and made use of the server shop to buy coloured wool which was quite useful, I also visited someone’s personal shop to buy sugar cane for paper. After finishing that the place was pretty much finished, I made sure to put some paintings up where I could and I unfortunately forgot I was going to add carpet and double-floor the levels so unfortunately you can see the carpet on the roof but meh it’s all good. 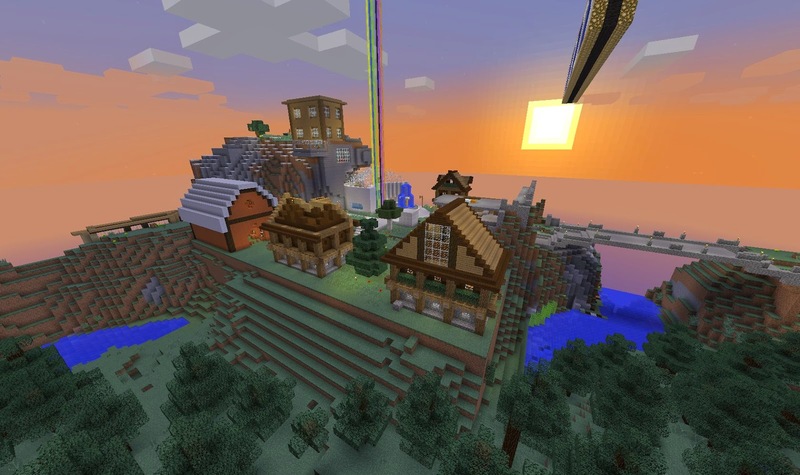 Unfortunately I came back one day to find Megacity in ruins but my Tower still standing as Silent_Puppy had decided to make it another claim so thanks to him for doing that as I still needed the place standing for screenshots, apparently most have moved to the Oceanic City which I think is the main one on the server so I’ll have to have a look at it, anyway more on that later. So that was my first creation on Oceanic-craft, hopefully more to come once I get back to Minecraft after my SWTOR subscription runs out.